Ewa Partum is the founder and president of the ARTUM Foundation. From 1963-65, she studied at The State High School of Fine Arts in Lodz/Poland and, from 1965-70, at the Painting Department of Warsaw Academy of Fine Arts/Poland. She belongs to the first generation of Polish neo-avantgarde and is a pioneer of European feminist and conceptual art. She is engaged in linguistic activities, institutional critique and feminist art. The artist describes her artistic practice as a logic progression from conceptual art to conceptual feminist. She highlights the year 1974 as the key moment of formulating her own artistic language and embarking on the practice of feminist art. In recent years, Partum participated in many individual and group exhibitions including: Jesteśmy at Zachęta National Gallery of Art in Warsaw in 1991; Wack! Art in the Feminist Revolution at MoCA Los Angeles in 2007; European Contemporary Art Biennale Manifesta 7 in Italy in 2008; re.-act. – feminism – performance art of the 1960s and 70s today at the Akademie der Künste in Berlin; REBELLE. Art and feminism 1969-2009 in Museum voor Moderne Kunst in Arnhem; Gender Check. Feminity and masculinity in the art of Eastern Europe in the Museum Moderne Kunst in Vienna in 2009; Promesse du passé in the Centre Pompidou in Paris in 2010; Intense Proximity, La Triennale at the Palais de Tokyo in Paris in 2012; 18th Sydney Biennale in 2012-13; Bigger Splash Painting after Performance in 2012-13 at Tate Modern; Transmissions: Art in Eastern Europe and Latin America, 1960-1980 at MoMA in 2015-16. and many others. 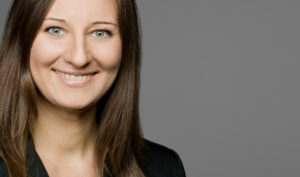 Berenika Partum is the Program Director & Co-President of the ARTUM Foundation. She graduated in Art History and History from the Freie Universität Berlin (M.A.) and in Culture & Media Management from the University for Music and Theatre in Hamburg (M.A.). Her professional experiences, centred around artist management, exhibition organisation and project management. 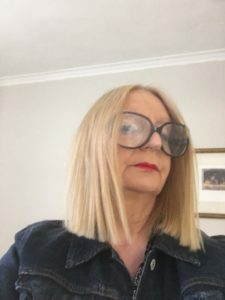 For more than 20 years she has participated in the realisation of numerous international exhibitions of Ewa Partum, including group exhibitions and retrospectives such as 18th Biennale of Sydney in 2012, Paris Triennale 2012, Speaking Parts at Raven Raw in London in 2015, Active Poetry at TATE Modern London in 2006, Collected Views from East or West, Generali Foundation in 2004 in Vienna, Gedankenakt ist ein Kunstakt at the Badischer Kunstverein in 2001, among others. Karolina Majewska-Güde is the Head of Archive of the ARTUM Foundation and a researcher, writer and curator. She graduated in Art History from Adam Mickiewicz University in Poznań and in Visual Histories from the Goldsmiths University in London. She is currently a doctoral candidate at the Institute of Art and Visual History at the Humboldt-Universität zu Berlin completing a dissertation on Ewa Partum’s artistic practice. In 2016 she received the Scholarship from the Ministry of Culture and National Heritage PL. 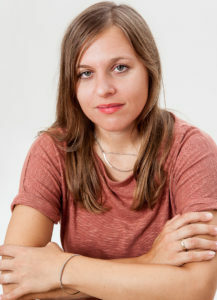 Her research focuses on Eastern European neo-avant-garde, transnational and feminist art history and art based research. She is a member of the International Association of Art Critics, AICA.